I think it's becoming quite clear that this song will be considered to be a "classic" song of this decade in the future. I can see this being looked upon as one of the biggest and best rock tracks, when we think of the legacy of music in this time frame. Of course, being at #56 suggests that I really like it, love it even, but I don't place it in the top echelons of that category. 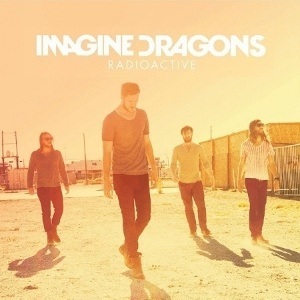 What "Radioactive" does is create a really cool, funky, space and electronic dubstep inspired indie track with a very catchy chorus. I'd heard the song a lot before I really gave it a lot of my time, it became one of those songs that were part of the furniture, it was everywhere. But until you truly "listen" to the track, listen to the lyrics, listen to the lovely atmospheric music, absorb it all in and sing a long to that awesome chorus, you don't thoroughly appreciate the song. It's a damn fine indie track, and as I said, probably one of the biggest rock tracks this decade will produce. If you missed #57 go here.